Gerry has been a licensed real estate salesperson for nineteen years, dealing with office land and industrial properties. Before the formation of MG Commercial, Mr. Surprenant was a Vice President at Paramount Properties Group and a salesperson with Ryan Elliot and Company (now CB Richard Ellis), both located in Providence. Mr. Surprenant had been in banking for nearly 25 years, spending most of that time at Fleet National Bank in Rhode Island as a Senior Vice President in the commercial real estate lending area. 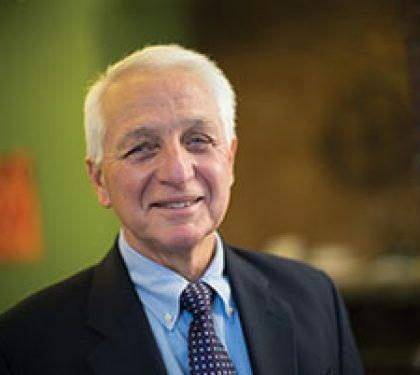 More recently, he was a Senior Vice President in charge of the commercial lending and collection functions of Attleboro Pawtucket Savings Bank and New Bedford Institution for Savings. After receiving a Bachelors Degree in Business Administration from the University of Massachusetts, Amherst, Mr. Surprenant served three years in the United States Navy attaining a rank of Lieutenant. Mr. Surprenant is a member of the Board of Directors of the Business Development Company of Rhode Island and the Jewelry District Association. He is also an Incorporator of the Providence Foundation and a member of the Rhode Island and National Association of Realtors. In 2000, Mr. Surprenant achieved the designation of Office Specialist by the Society of Industrial and Office Realtors (SIOR). The SIOR designation is the highest and most prestigious designation that can be achieved in industrial and office real estate and the holder of the designation must be in the top 5% of his or her market. He retired from that organization in 2014. Clients include Lincoln Corporate Center, Pawtucket Redevelopment Authority, Orion Retail, City of East Providence, Community for People, Key Program and Precision Dermatology. Mr. Surprenant and his wife, Nancy, reside in Little Compton, RI.